Cardiogram has teamed up with insurers Amica Life and Greenhouse Life Insurance Company to give users free life insurance to collect data. 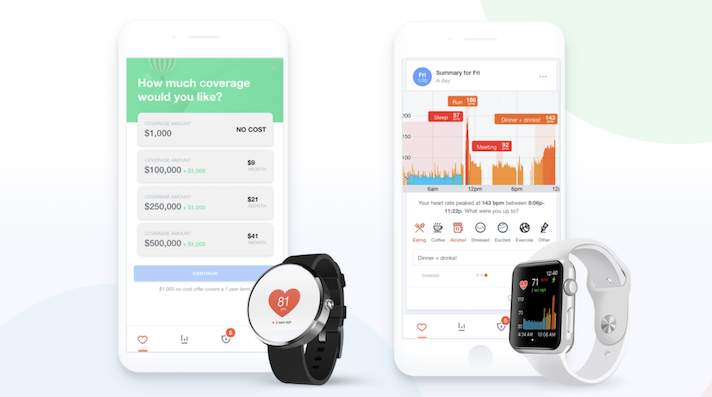 Users of Cardiogram, a smartwatch app that uses a deep neural network technology to detect hypertension and sleep apnea, can now get $1,000 in accidental death insurance for free. The deal comes out of a partnership between the technology company and life insurer Amica Life and life and disability payer Greenhouse Life Insurance Company. Cardiogram, which began on the Apple Watch, now works with a variety of smartwatches from Garmin, Polar, LG, Huawei, Misfit, and others. As part of the deal, insurers will be able to look at users’ data from their wearables. Cardiogram noted that data from users is growing increasingly valuable for life insurers. For example, if a driver has sleep apnea that can significantly increase their chances of getting in a car accident. Eventually the data from these Cardiogram users will be used for making new products. However, a Cardiogram statement noted that in order for the data to be shared the user must explicitly consent. It also said that the data from the Watch will not change rates or coverage for users. This isn’t the first time that life insurers have looked to wearables for data. In 2015 John Hancock Insurance teamed up with Vitality group. This deal offered users a free Fitbit, which could then be use for behavior based incentives. UnitedHealthcare's Motion program has also offered users free wearables including Fitbits and Apple Watches. Additionally, a 2015 Accenture survey found that two thirds of insurance companies, across various specialities, expected wearable technologies to have a significant impact on the insurance industry. Thirty-one percent of responders said their companies were already using wearables and 73 percent that offering members wearables was a top priority.